A new survey from The Hartford has revealed around 57 million Americans or 25% of the population own a side business. Even though unemployment rates are low and the average wage is increasing, a lot of Americans need a side business to make ends meet. The primary reason for these side hustles is financial, with those pursuing their passion making up less than 10% of the respondent in the survey. For many of the entrepreneurs with these side businesses, their part-time venture will not lead to a full-time business. A third or 33% said it is highly unlikely it will lead to a full-time business. Another 27% were not quite sure, but they said it is somewhat/highly likely it could become a primary source of income or a full-time job. 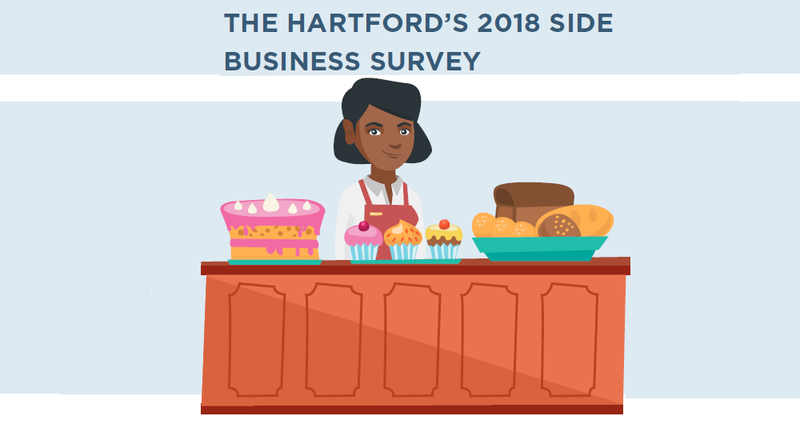 The Hartford’s 2018 Side Business Survey was carried out online in the US with the participation of 4,135 adults 18 years of age and over. Of these, 1,033 had a side business and they participated as it applies to them. Another 989 participated in a survey on future side-business intent. The survey was conducted May 7-15, 2018. More than half or 61% of the respondents had a full-time job elsewhere, with 49% stating they dedicated on average 10 hours or less to their side business. As to the reason for starting these ventures, 61% said for financial reasons followed by 16% to make a change/lifestyle, and 9% to pursue their passion. So how much do they make from the business? Most of them or 43% make less than $5,000 in a typical year. There was an equal number at 18% who made $5,000 to $10,000 and $10,000 to $30,000. There is no doubt these individuals have the entrepreneurial spirit, but they pointed out different barriers which are stopping them from going full-time. Almost half or 48% said they don’t believe they can make a living at their side business. This was followed by 33% who pointed out they can’t afford to give up the income from their full-time job. Other reasons include not wanting to give up the benefits from their job (27%), they like their job (23%) and don’t have time to dedicate to the business (13%). These side businesses are in most cases sole proprietorships run by people working on less than 10 every week. However, the survey indicates they are not aware of their liabilities as only 12% have purchased insurance for their side business. As Lynn LaGram, Small Commercial product lead at The Hartford, explained in the press release, something unexpected can happen. And the cost can be high if it comes out of pocket. You can look at the infographic below for more information.